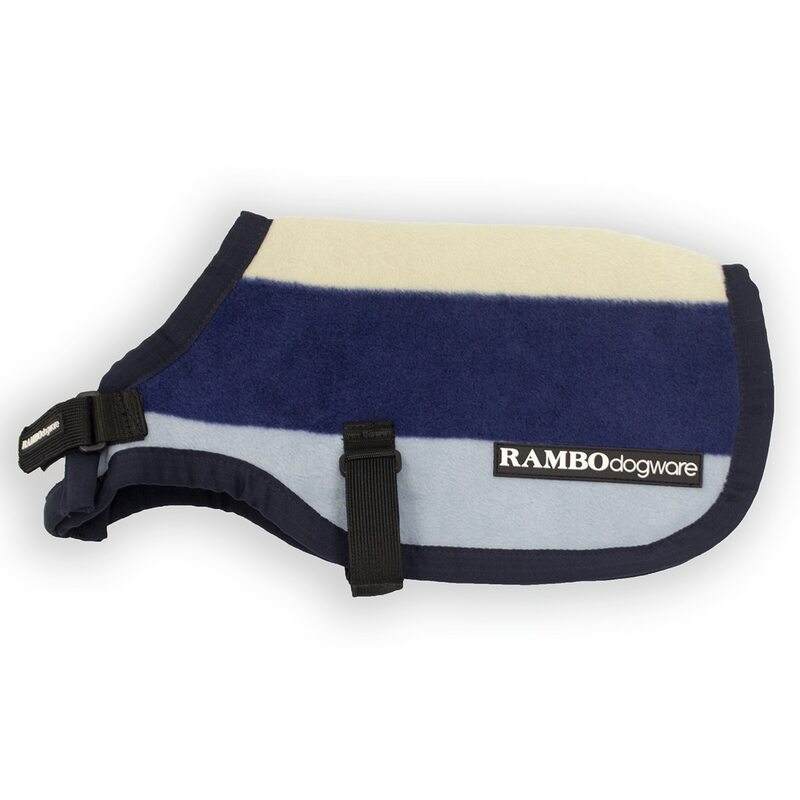 The Rambo® Deluxe Dog Blanket features an adjustable neck closure, leg arch for freedom of movement and elasticated surcingle for a snug fit. A must for any dogs winter wardrobe! 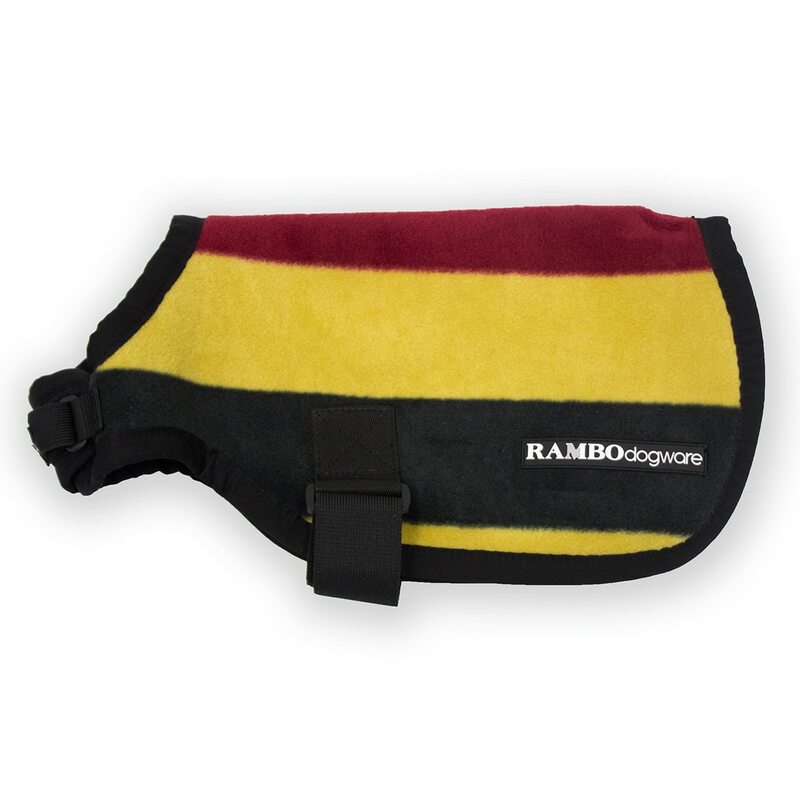 Rambo® Deluxe Dog Blanket is rated 4.0 out of 5 by 1. 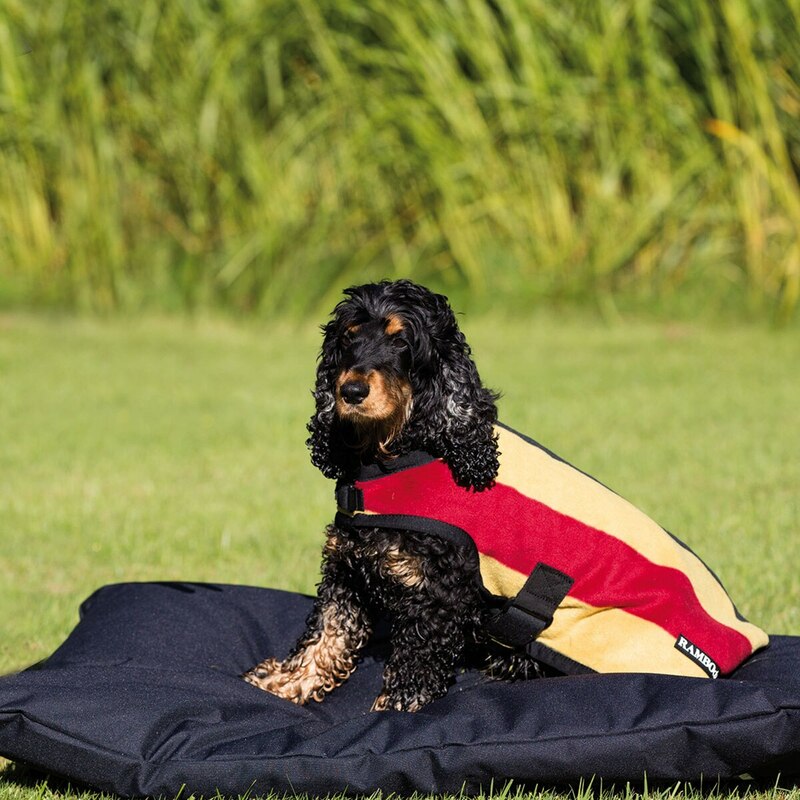 Rated 4 out of 5 by Halmstad from Do your homework on the size, blanket is durable Smartpak has switched out the size chart a few times on this particular dog blanket. With that being said, here's what finally worked for us: Small lab mix (45lbs) = medium blanket. Boxer mix (60lbs) = large blanket. Coonhound mix (80lbs) = xl blanket. I don't love the way these blankets fit any of them but its so much better than blankets that make you pretzel yourself and your dog just to get them on. 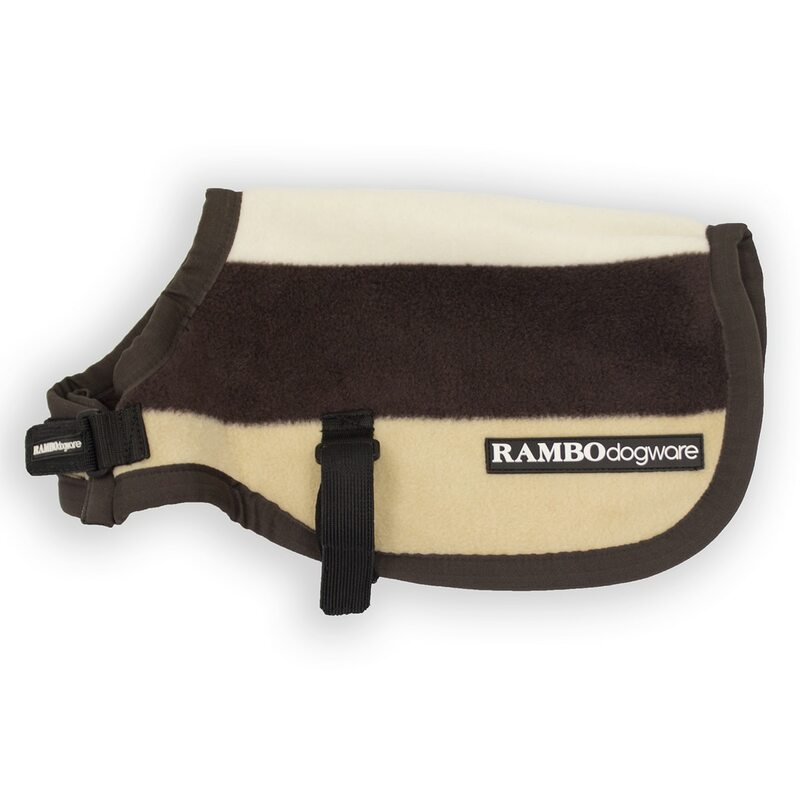 The elastic strap under the belly is easy enough to fasten as well as the velcro and strap closure at the neck. I've washed and dried the blanets and they have held up. The dogs have worn the blankets at play and again they have held up just fine. 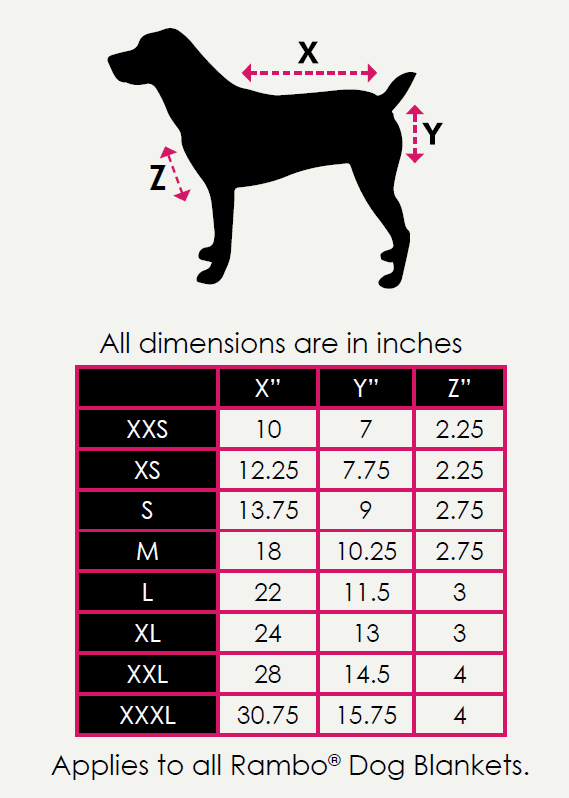 I would be really helpful if Smartpak would consider posting an image of the size chart that actually ships with the packaging so customers didn't have to guess on sizing.